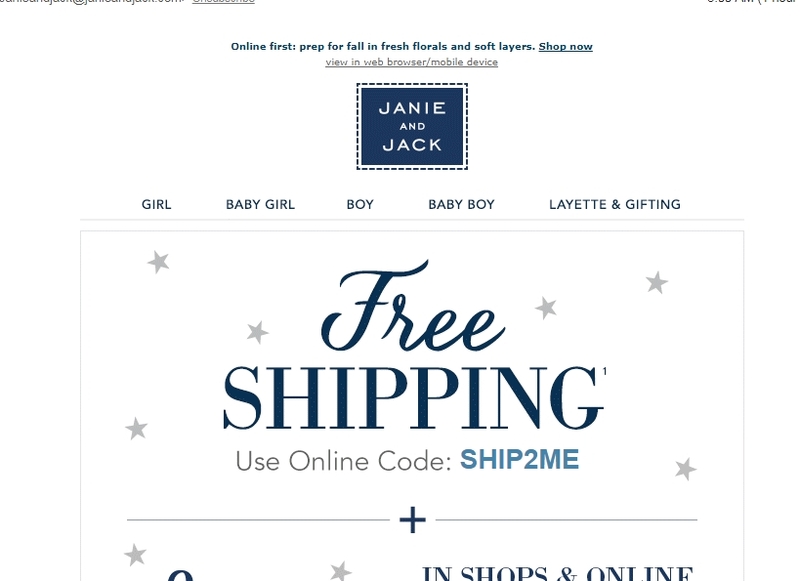 Samantha Brown Free Shipping on All Orders at Janie And Jack. I am validating this deal and it works as described. Use the promo code SHIP2ME in the box at the end of the purchase to obtain your discount. Elizabeth Alvarez This deal works as described. Add your order on your card at check use this code promo and discount will be applied on your order. Natalie Decker This coupon code is valid and working as described. The item used to verify this coupon code. To redeem this offer, shop for your favorite products and enter the code at checkout. Laura DeLuca Free standard U.S. shipping offer valid on orders placed on July 23, 2017 12:00 a.m. through July 24, 2017 11:59 p.m. ET only and is applied on all orders at checkout with promo code SHIP2ME . Orders are usually sent via ground delivery. 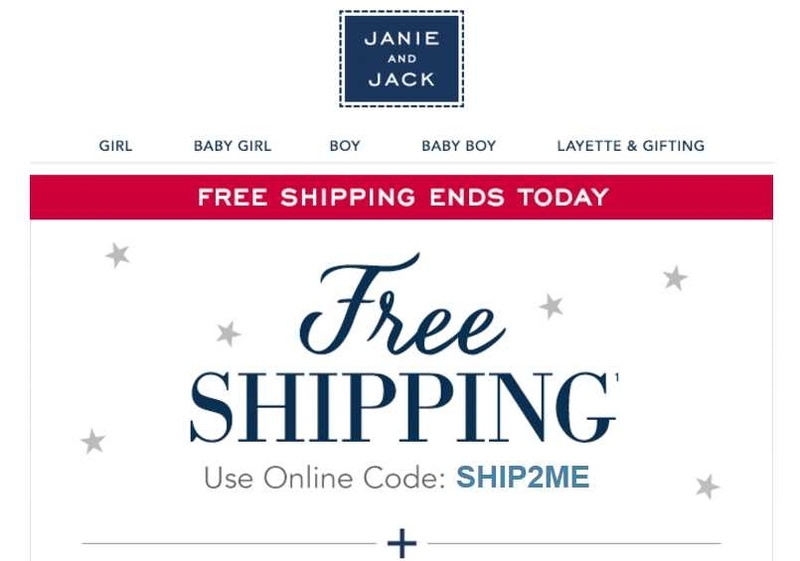 Shipping may take up to 7 business days after Janie and Jack has processed the order to arrive at the destination. Promotion not valid on Express or Rush shipping or for shipments to AK, HI, APO/FPO locations or U.S. territories. A fee of $6.95 will be deducted from your order refund for return postage when you use the return label enclosed with your shipment. Promotion not valid on international shipments or in retail stores. Not valid for cash. No adjustments will be made to prior purchases. Cannot be combined with any other offers or promotions online. 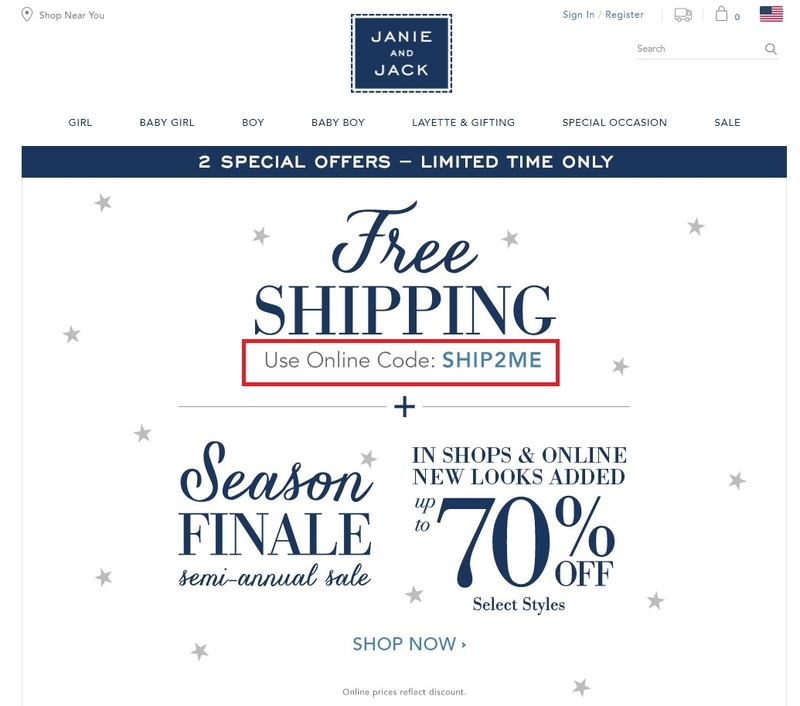 Janie and Jack reserves the right to change or cancel this promotion at any time. 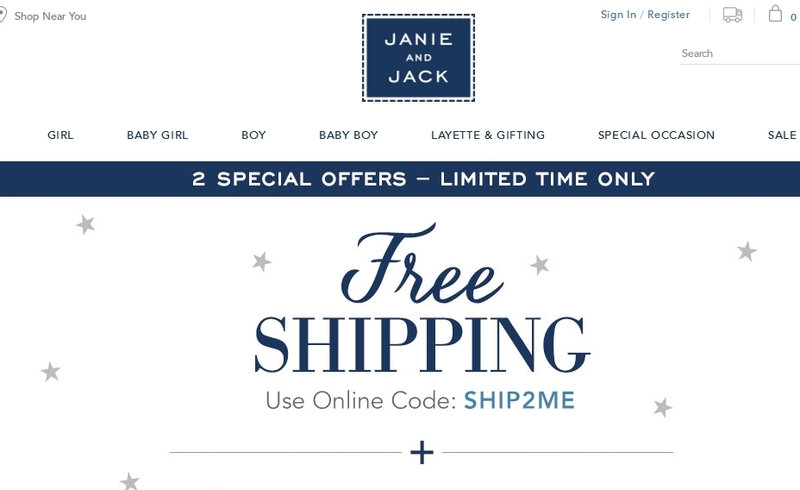 Not valid at Janie and Jack Shops, Janie and Jack Outlets or global.janieandjack.com.